FYI I had not a single inkling on Tuesday night that the question was gonna be popped! I actually went to boot camp�and took the hastiest shower I have ever taken, had thrown on a tshirt, jeans and shoestring-less shoes and run out the door with wet hair into J’s car. As far as I was concerned we were just being our goofy selves as we drove down to Atlanta, singing Katy Perry loudly in the car along with my good bud Vargas. When we rolled into the GT Hotel and Conference center �I automatically asked to go to the top level so I could enjoy the spectacular view that I loved up there. J had the same idea. 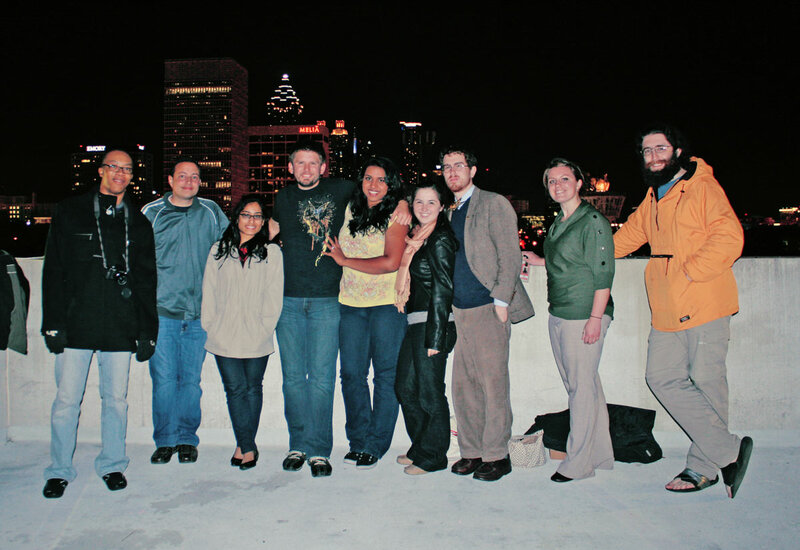 I didn’t even get it when I saw ALL MY TRIVIA FRIENDS PLUS SOME COLLEGE BUDS at the top. I thought to myself that they’d all been invited because it was a grand ol’ in-town trivia night! JEREMY had to literally say “THIS IS ALL A LIE” before it dawned on my stupid stupid face that I was about to be proposed to, damp hair, hobo clothes and all. He had this beautiful little speech that he spoke.. before asking me to marry him. Notice the pink GT on the wall? �How randomly appropriate. All sorts of cameras and phones were flashing around me. I couldn’t imagine a better place to be proposed to by my best friend in a circle of my wonderful, wonderful buds from all phases of my life, from elementary, to post-college.�They had all planned this to fully surprise me and catch me off guard and man was the plan executed well. The fake e-mails, the changed plans, vargas & ami keeping their mouths shut all through boot camp. I couldn’t ask for better friends or a better executed plan to surprise me. 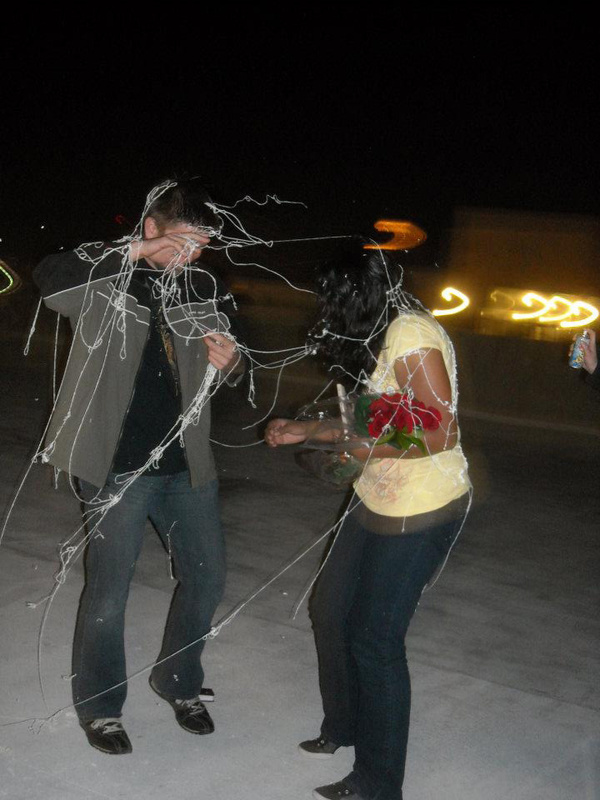 Immediately after the romantic moment they dominated us with silly string. Best friends ever? Best friends ever. Thanks to my good friend since middle school, Steve (in the giant beard) for these photos. Enjoyed reading your short story with pictures. How romantic! You must be so excited. You both make a lovely couple. :) Congrats again. God Bless. Sunira, beautiful pictures! :) Congratulations again! We need to celebrate. Can’t wait to see your ring on you. Thanks Jenny! I’m looking forward to seeing you in December. Thrilling story and pictures Sunira…We keep seeing it again and again! Adds to all that we heard first hand from you. thank Steve for those awesome shots!! :) I’ll tell Steve he is awesome. Sunira! This is awesome. Im so glad you described how it went down…it sounded PERFECT! Great job Jeremy!!!! So sweet! Congrats again Sunira! Congratulations!! Good times ahead with a lot of excitement. I am so excited, Dancy! This is fantastic news! I’m very happy for the two of you. What a great story! Congratulations! （╯°□°）╯︵ ┻━┻ YEAH. I AM ON YO WEBSITE. FLIPPIN YO TABLES FOR THE GOOD NEWS. YAY! Congratulations!! I love seeing the pics and reading the official story. 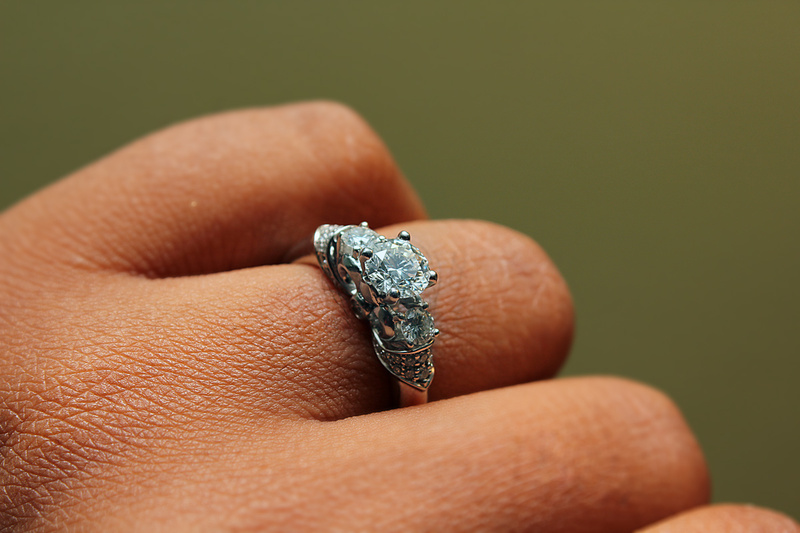 The ring is just beautiful and so unique- looks like something you would love! 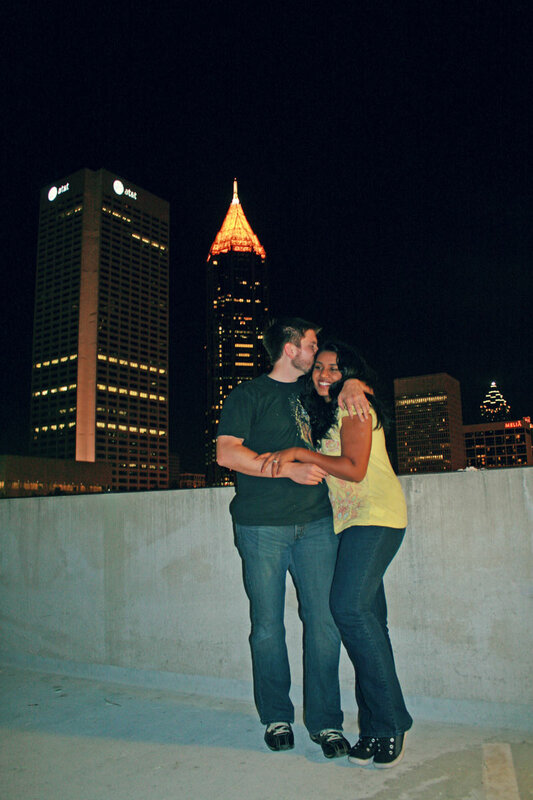 =) So happy that you and he are “officially” engaged now! I would love a follow up story on what your family thought when you told them? You’re the best. So, so happy for you two!